The written word is a powerful medium as is the moving image, which is precisely why, for the second year in a row, the Valletta 2018 Foundation has teamed up with Inizjamed to collaborate on a poetry film for the annual Malta Mediterranean Literature Festival. This year’s poetry film sees Mario Azzopardi’s poem Ried Ikun Jaf artistically adapted into film by local director Edward Said. Said, who is no stranger to the Maltese film scene, has been working on films for the past 15 years, so it’s always interesting to see what a seasoned film maker will churn out. I met up with Said to ask him a few questions about the poem and his subsequent translation of that poem into film. “The poem suggests the curiosity of youth which turns into knowledge and disappointment in old age. My translation is of an old man trying to communicate this to a young boy using the medium he knows, the written word. But the boy comes from a visual age, his ‘poetry’ is visual – their views clash,” explains Said. 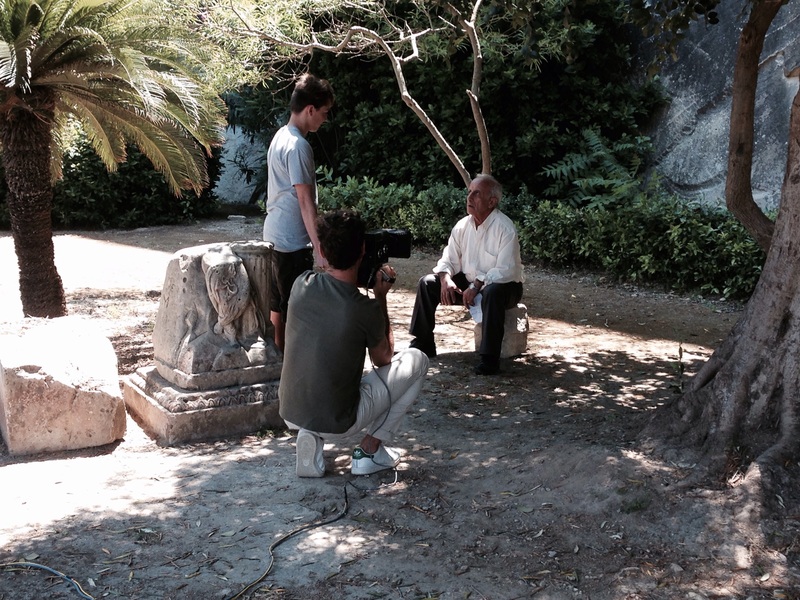 The elderly man, representing the old, written medium, is played by Philip Mizzi, while the boy representing the visual, film medium is played by Stephen Grech. However, Said’s doubts did not discourage him. In fact, “the challenge of possibly making a mess of it and waiting for the footage to come back from processing in London, then seeing it projected” was one he quite enjoyed. In the end, everything turned out well and I, for one, can’t wait for the screening. Don’t forget to join us at the Mediterranean Literature Film Festival at Fort St. Elmo this Saturday 29th August 2015.